We recently had a bake sale on our town square. I wanted to make something that would be colorful and catch the eye and still be tasty and delicious. I decided to make Brownie Pops. They were simple enough that I could make lots of them fairly quickly, while being fun and festive. To keep things really simple, I started with a boxed brownie mix. I really like to use the best brownie mix I can buy. For my brownie pops I chose Duncan Hines Double Fudge Decadent Brownie Mix. I made the mix according to package directions and added a teaspoon of vanilla and a tablespoon of espresso powder, just to punch up the flavor a little bit. I have a special brownie pan that is like a cupcake pan with square sections instead of round. If you don't have one of these, you could bake your brownies in a rectangular pan and just cut the brownies apart. I sprayed my pan with cooking spray, spooned the brownie batter into the sections and baked according to package directions. Actually, since I was using the sectioned pan, my cooking time was slightly less than the package called for. Once the brownies were done, I cooled them on wire racks. 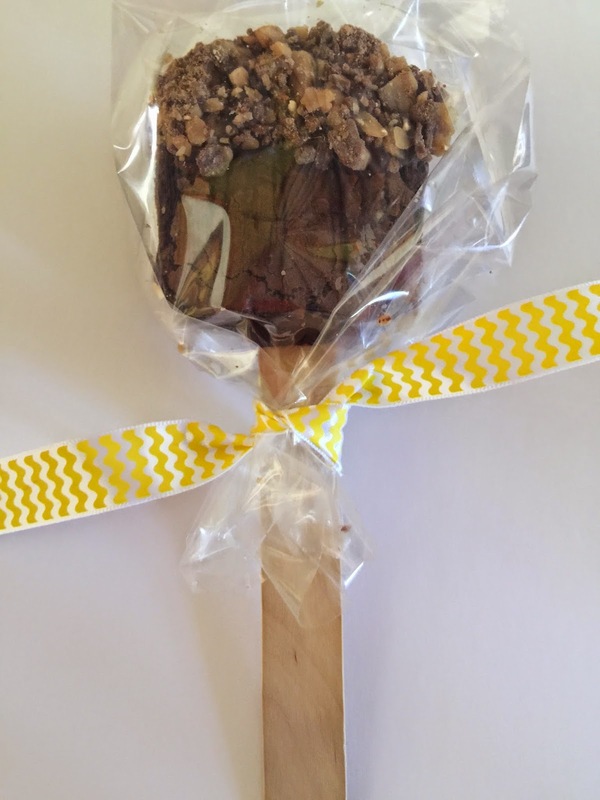 Once they were cool, I dipped popsicle sticks into melted chocolate and inserted them into one side of each brownie. I did this to help hold the stick into the brownie. I let the brownies sit for a while longer to give the chocolate on the stick time to harden and set. Once that was done, I melted white chocolate chips in one bowl and semi sweet chocolate chips in another bowl. I also set out bowls of toppings like crushed butterfingers, sprinkles, toffee bar chips and tiny m&m's. I dipped each brownie into one of the chocolates and then into one of the toppings. I placed each dipped brownie on a sheet of parchment paper to let the chocolate harden. 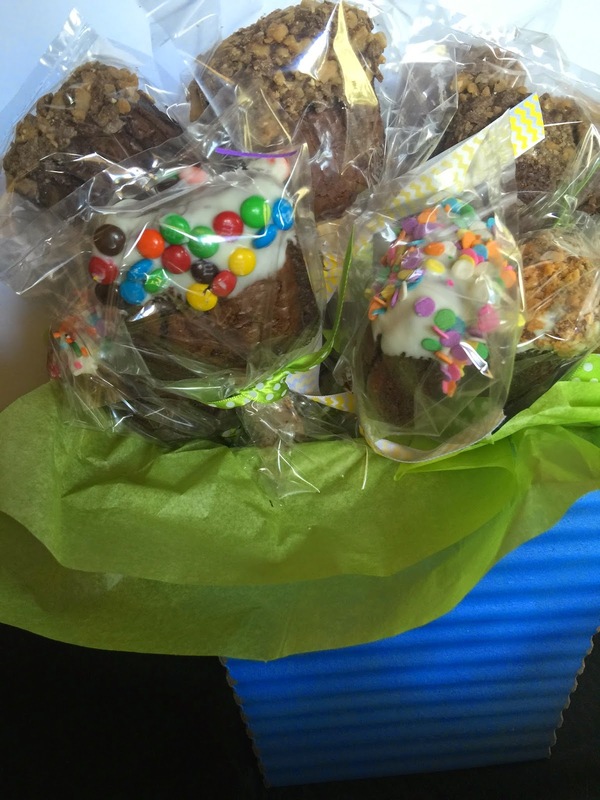 I wrapped each brownie in a cellophane bag tied with ribbon. These were an easy and attractive addition to our bake sale. 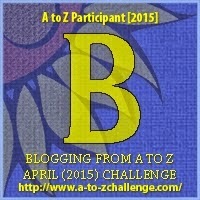 Check out more Blogging A-Z Challenges here! They look delicious! I would have probably had to buy one!